Psychological research in Antarctica addresses a number of key issues that are important to understanding how people (as individuals and groups) function in isolated and extreme environments: the selection of appropriate personnel to work/live there; the processes of adaptation to the conditions; and the psychological consequences (both beneficial and detrimental) of prolonged residence there. The importance of these issues underpins the exploits of the earliest explorers and continues in present-day attempts to utilise the Antarctic environment as an analogue for deep space missions. Great God! This is an awful place. In memories we were rich. We had pierced the veneer of outside things… grown bigger in the bigness of the whole. We had seen God in his splendour, heard the text that nature renders. We had touched the soul of man. It may be considered something of an irony that the place on earth that has arguably presented human beings with the greatest of physical and psychological challenges has attracted so little attention from psychologists – the keepers of the science that seeks to comprehend what Shackleton (1919/1999, p.226) described as ‘the soul of man’. But it is equally fair to say that the relevance and importance of psychology in the ‘South’ has not been altogether ignored either. Cherry-Garrard, a member of Scott’s 1912 expedition concluded his own account of that fateful adventure with a mournful recognition of the importance of ‘polar psychology’, claiming that on the white continent fundamental questions of value arose – ‘what is worth what?’ He reflected upon the ‘unique factors’ of the Antarctic environment ‘…especially the complete isolation’ (Cherry-Garrard, 1922/2003, p.595), which today remains at the heart of what drives behavioural science at the end of the world. The pertinence of psychological adaptation to Antarctic exploration, however, had been apparent even before Scott’s travails. During De Gerlache’s 1898/99 expedition aboard the Belgica,the first ship to winter in the Antarctic, the ensuing stresses led to widespread psychological disturbance amongst the crew. ‘Mentally, the outlook was that of a madhouse’ wrote the ship’s doctor (citedin Huntford, 1999, p.53). However, for one of those aboard – Roald Amundsen – it provided a formative learning experience on the importance of man-management, a lesson which was not lost throughout his later quest for the South Pole. The context and importance of understanding men and women in extreme climes has undoubtedly changed. Beyond the personal diaries of polar travellers, early attempts to discuss the psychological issues pertinent to polar exploration did little more than recognise the spiritual impact of the environment on human thought or else recount the commonsense strains and irritations resulting from the intense nature of the work, blending this with discussions of the dreams of Antarctic travellers (Fogg, 1992). Since the advent of the International Geophysical Year (1957–1958) and the attendant growth in Antarctic work stations, concerns have been more pragmatic – how to identify those best suited to working there. Precipitated by the mental breakdow of an individual at one station and interpersonal meltdown due to poor leadership at another, US stations set the ball rolling with extensive use of attitude and personality tests. While much of the psychological research conducted in Antarctica has been characterised by the (necessarily) small sample sizes and attendant restricted statistical power (Taylor, 1987), an analysis of over 1000 people who had wintered led to the conclusion that three factors were critical to effective performance in the Antarctic. Subsequently replicated in a number of studies, these factors have been described as ability (competence), stability (mental health) and compatibility (social skills) (Suedfeld, 1991). In personnel selection, viewed by many as constituting the core of Antarctic polar psychology, quantitative methods have been favoured (though interviews, self-reports and projective test have also been employed) and together have set the tone for much of the behavioural science research conducted by nations with a presence in the Antarctic. For example Rosnet et al. (2000) related ‘good’ cognitive and psychomotor performance in a group of male French Antarctic staff to low scores on extraversion and assertiveness, whilst Peri et al. (2000), working with an Italian team, linked successful Antarctic performance to resistance to stress as well as emotional stability. Given the predilection for empiricism in British philosophical thought, however, it is of interest that the British Antarctic Survey (BAS) continue to eschew the use of psychometric tests and psychiatric screening in favour of a formal application and personal interview for determining suitability. as an analogue for off-planet journeys and settlements (Suedfeld & Weiss, 2000). It has been said that it is ‘as close to Mars as we can get’ (Wheeler 1999, p.61). In fact, Vostok – the Russian base in East Antarctica where the lowest temperature on the planet has been recorded (–89.2C) – was formerly used as a behavioural test bed for the Soviet Salyut space programme. The first International Biomedical Expedition to the Antarctic (Rivolier et al., 1988) – where a multinational team of 12 travelled for 10 weeks across the polar plateau conducting investigations in physiology, biochemistry, microbiology, immunology, epidemiology and psychology – has had lasting influence as a potential simulation of human adaptation in an off-world environment. Besides the physical aspects of the Antarctic terrain and the parallels between the length of the austral winter and the duration of deep space missions, the human aspects of Antarctic life that render this comparison meaningful are numerous; ‘physical danger, a hostile climate, dependence on external supplies, isolation, enforced small-group togetherness, restricted mobility and social contact, and the disruption of normal recreational and professional activities’ (Suedfeld, 1991, p.653). From these issues stem further problems – communication with home, potential medical emergencies and equipment breakdowns, not to mention isolation from normal family life, social and sexual relationships. ‘Both sexually and socially the polar explorer must make up his mind to be starved’ wrote Cherry-Garrard (1922, p.596), and investigation of the former has almost constituted a taboo (Huntford, 1999). & Weiss, 2000). Only rarely do these reactions reach levels that warrant clinical intervention however, with the prevalence of psychiatric disorders at Antarctic research stations estimated at around 5 per cent (Lugg, 2005; Palinkas, Glogower et al., 2004) with mood and sleep disorders being the more commonly cited complaints (Palinkas & Suedfeld, 2008). Though this rate is not high it should be remembered that the people manifesting these problems belong to an already highly screened population. It has been suggested (Palinkas & Houseal, 2000) that adaptation to the prolonged isolation and confinement may occur over a number of stages and can be related to Selye’s notion of a general adaptation syndrome. More recently Palinkas and Suedfeld (2008) argued that the seasonal occurrence of symptoms in fact suggests the existence of three overlapping syndromes: the winter-over syndrome described above, the polar T3 syndrome (a cyclic pattern of mood strongly resembling seasonal variation in serum thyrotropin-stimulating hormone concentrations seen at the polar regions), and subsyndromal seasonal affective disorder. The emphasis on individual adaptability and biomedical analysis, however, has not precluded a social perspective. Not surprisingly interpersonal relationships are seen as a critical factor in polar wintering (Palinkas et al., 1995), and the social environment may in fact exer a stronger influence on coping and psychological well-being than the unique physical environment. The nature of leadership, conformity to group norms – which may assume added importance in an isolated and confined environment – and the effects of social comparison in groups whose composition may vary along lines of social class, occupation or gender are all important determiners of how ‘Antarcticans’ function in their social milieu (Palinkas & Suedfeld, 2008). Then there is the question of the role of culture in moderating or mediating how groups function. Investigating this question, Palinkas, Johnson and colleagues (2004) administered the Profile of Mood States along with various indices of structural and functional social support to 13 winter-over crews from five nations. They found changes in different mood states occurred at different stations (those with an individualistic cultural orientation tended to exhibit both low social support and low negative mood) and that the relationship between mood and social support varied with national group. This demonstration of different patterns of psychosocial adaptation in workers from different countries is of relevance not only for planning collaborative work in the polar regions but also for determining the composition and functioning of multinational crews for potential long-duration missions in space. Much of the psychological work in the south, then, has focused on what can go wrong and to whom. But it has not escaped the attention of observers past and present that profound positive changes may also occur: that the continent ‘has also melted frozen hearts’ (Wheeler, 1999, xviii). Shackleton’s remarks that opened this piece are testament to the ‘cosmic perspective ’ that the Antarctic seems to stimulate – reflections on the beauty, spiritual significance and grandness of nature – issues, though relatively neglected in the research literature, to be found in abundance in the diaries, interviews and personal accounts of numerous Antarctic travellers. Despite the attention given to negative reactions the evidence base in fact indicates that positive reactions are more common (Wood et al., 2000), which broadly speaking may relate either to situational characteristics or having successfully surmounted the challenges posed by the environment (Palinkas & Suedfeld, 2008). Woods and colleagues comment that the relatively high percentage of returning Australian winterers (25 per cent) would suggest that the experiences are sufficiently gratifying to warrant a return visit to what is a harsh environment, a view endorsed by Steel (2000) in his investigation of positive place attachment to the polar regions. In their own research they found the most frequent positive experiences were related to field trips, a feeling that life is good, communications with outside, and feelings of awe engendered by the environment. Not surprisingly given the predominance of positive affective reactions to the Antarctic environment, a number of studies report high levels of emotional adjustment – which in combination with successful coping strategies, whether honed in the challenging Antarctic environment or brought there from home, may translate into longer-term emotional and physical well-being (Palinkas et al., 1995) and more successful careers (Palinkas & Suedfeld, 2008) in an example of post-return growth. 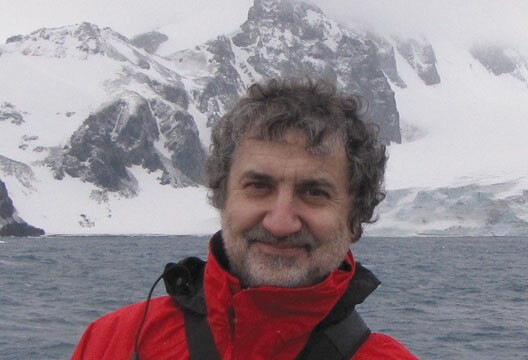 et al., 2001; Droseltis & Vignoles, 2009), and while Palinkas (n.d.) notes that Antarctica’s lack of indigenous inhabitants has meant that it has never attracted serious attention from anthropologists, the people who inhabit Antarctica are worthy of serious study if for no other reason than that their identity is rooted in cultural practice and experience rather than biological essence. The study of identity in Antarctica may have important ramifications for how we think about social identity itself, that it is not necessarily related to social comparison or grounded in conflicted relationships. There are as well additional reasons for such an interest. Currently psychological studies of Antarctic personnel are situated within the working group on Human Biology and Medicine – a reflection of a preoccupation with work performance in an extreme environment. This, however, has its limitations. As indicated, Antarctica is considered a prototypical environment for deep-space missions. If ever humans do venture into the cosmos, then they will invariably, and of necessity, develop their own off-world cultures and identities. The processes of understanding such identity formation and what issues will ensue from it can begin now. The practical significance of this may well pertain to current projects as well as to future work undertaken in isolated and extreme environments. There is certainly evidence that social rifts or microcultures may emerge in Antarctic work teams along the lines of existing social identities (based around nationality, occupational role and gender, for example (Palinkas, n.d.). The question of how significant these are or might be over prolonged periods of contact in an extreme environment is unknown. Intergroup contact theory (Pettigrew & Tropp, 2006) would, however, suggest that engaging people of equal status in prolonged, cooperative and supported activity of high importance can overcome existing social divisions. Thus, current evidence of social tensions in Antarctic work teams and the presence of national microcultures does not preclude the emergence of an overarching Antarctic group identity. Cherry-Garrard considered an Antarctic expedition ‘the worst way to have the best time of your life’. Hopefully this brief review has also shown that travelling, working and living in the polar environment, where many of the usual parameters that control psychological processes are attenuated or stripped away, may offer deep insights into the human condition, revealing the inner man or woman (Suedfeld, 1998). Nowadays of course, getting to the Antarctic is less arduous and more fun than it once was, and ‘being there’ even better. it may seem altogether less welcoming, but for both parties a reaction is shaped from the interplay of public (social) representations (Moscovici & Duveen, 2000) of place and the ‘emotional geography’ and personal history of the self. Representations of Antarctica have arguably come to comprise what Liu and Hilton (2005) describe as a charter – a founding representational myth that ascribes to it a set of characteristics that govern its historical mission. More usually, historical incidents of warfare are privileged in the events that shape the myths of identity and nation bonded to land. In the case of Antarctica it is arguably the absence of these from its history (though death certainly plays its part) and the lack of national ownership that form key elements in its construction, setting it uniquely apart from the rest of the earth in realms other than its climate and terrain. It is these that have helped shape its future as a natural reserve devoted by international agreement to peace and science and protected therein from territorial claims or military and industrial misadventure. a window on our recent cognitive history, reflecting to us the desires and hopes of the ‘professional dreamers’ (Kaiser & Herzog, 2008) of the past through the mirrors of culture, class, gender, and national and imperial aspiration. The subjugation of personal achievement, want and ambition to the mores of the nation – so evident in the writings of the early explorers (see for example Huntford, 1999; Scott, 2006) – tells us much, if we care to listen, about the reins on our current psychological make-up. ‘The past’, as American writer Greil Marcus once remarked is not just ‘another country’. It lives and breathes in the present, as do its architects, and from it we form the bridge to the future. Bell, P.A., Greene, T., Fisher, J. & Baum, A.S. (2001). Environmental psychology. Hove: Psychology Press. Fogg, G.E. (1992). A history of Antarctic science. New York: Cambridge University Press. Huntford, R. (1999). The last place on earth. New York: The Modern Library. Kaiser, H. (Producer) & Herzog, W. (Director) (2008). Encounters at the end of the world [Motion picture]. USA: THINKFilm. Liu, J.H. & Hilton, D.J. (2005). How the past weighs on the present: Social representations of history and their role in identity politics. British Journal of Social Psychology, 44, 537–556. Lugg, D. (2005). Behavioral health in Antarctica. Aviation Space and Environmental Medicine, 76(6 Suppl. ), B89–93. Moscovici, S. & Duveen, G. (Eds.) (2000). Social representations: Explorations in social psychology. Cambridge: Polity. Palinkas, L.A. (n.d.). On the ice: Individual and group adaptation in Antarctica. Unpublished manuscript. in Antarctica. International Journal of Circumpolar Health, 63(2), 157–168. Palinkas, L.A. & Houseal, M. (2000). Stages of change in mood and behaviour during a winter in Antarctica. Environment and Behavior, 32(1), 128–141. Palinkas, L.A., Johnson, J.C., Boster, J.S. et al. (2004). Cross-cultural differences in psychosocial adaptation to isolated and confined environments. Aviation, Space, and Environmental Medicine, 75(11), 973–980. Palinkas, L.A. & Suedfeld, P. (2008). Psychological effects of polar expeditions. The Lancet, 371, 9607, 153–163. Peri, A., Scarlata, C. & Barbarito, M. (2000). Preliminary studies on the psychological adjustment in the Italian Antarctic summer campaigns. Environment and Behaviour, 22(1), 72–83. Pettigrew, T.F. & Tropp, L.R. (2006). A meta-analytic test of intergroup contact theory. Journal of Personality and Social Psychology, 90, 751–783. Rivolier, J., Goldsmith, R., Lugg, D.J. & Taylor, A.J.W. (1988). Man in the Antarctic: The scientific work of the International Biomedical Expedition to the Antarctic (IBEA). London: Taylor & Francis. Rosnet, E., Le Scanff, C. & Sagal, M-S. (2000). How self image and personality influence performance in an isolated environment. Environment and Behavior, 32(1), 18–31. Scott, R.F. (2006). Journals: Captain Scott’s last expedition. Oxford: Oxford World’s Classics. Steel, G.D. (2000). Polar bonds: Environmental relationships in the polar regions. Environment and Behavior, 32(6), 796–816. Suedfeld, P. (1991). Polar psychology: An overview. Environment and Behavior, 23(6), 653–665. of Environmental Psychology, 18, 95–102. Suedfeld, P. & Weiss, K. (2000). Antarctica: Natural laboratory and space analogue for psychological research. Environment and Behavior, 32(1), 7–17. Taylor, A.J.W. (1987). Antarctic psychology. New Zealand Department of Scientific and Industrial Research. Bulletin no. 244. SIPC, Wellington. Wheeler, S. (1999). Terra incognita. New York: The Modern Library. Wood, J., Hysong, S.J., Lugg, D. & Harm, D.L. (2000). Is it really so bad? A comparison of positive and negative experiences in Antarctic Winter Stations. Environment and Behavior, 32(1), 84–110.